Upon his arrival at the Mumbai airport to a cheering welcome by friends and relatives, Ansari said he would try to get a job and then find a suitable match for himself. Mumbai: Software engineer Hamid Nihal Ansari, who had to spend six years in a Pakistani jail on espionage charges, returned to his hometown Mumbai on Thursday, refusing to “scratch old wounds” and vowing to move on with life. Ansari was arrested in Pakistan in 2012 for allegedly entering that country from Afghanistan reportedly to meet a woman he had befriended online. Pakistan slapped espionage charges against him. He was repatriated to India on Tuesday. 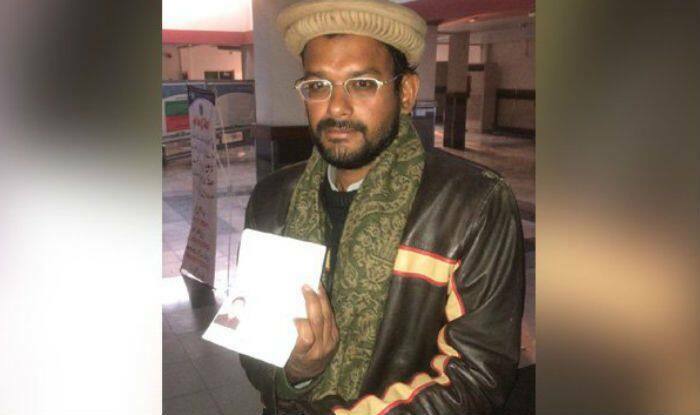 Two days after he was handed over to India at the Wagah-Attari border, Ansari, 33, and his parents left New Delhi in the morning in an Air India flight and arrived at the airport here around 9.30 am, his father Nihal Ansari said. Relatives, friends and well-wishers greeted and cheered for him as he came out of the airport. The family then left for their residence in suburban Versova. Ansari said while waiting to cross the border at Amritsar after his release from the Pakistan jail on Tuesday, he caught a glimpse of his parents, who were waiting for him on the Indian side, first time in six years. “I was not able to meet them (immediately) as I was on the Pakistan side. At that time, I realised how much they must have suffered for me. I wanted to meet them immediately, but could not,” Ansari said. Asked about an eye injury he apparently suffered during interrogation at the Pakistani prison, Ansari said the interrogation process cannot be avoided. “During the interrogation, the retina of my eye got ruptured. But, they admitted me to a government hospital and it was treated…They compensated for it ( treatment),” he said. On an alleged attack on him inside the Peshawar prison, he said it was due to a “misunderstanding” which escalated. According to official sources, India issued 96 notes verbales to Pakistan seeking consular access to Ansari. The decision to release him was taken due to relentless pressure from New Delhi, they said. Shortly before his arrival on Tuesday, his mother Fauzia Ansari had told reporters that the prayers of the family and of all those who wished for his safe return were answered. His father had said it was a new dawn for them. On Thursday, the Peshawar High Court gave the Pakistan government a month’s time to complete his repatriation process.